In between positions along the Illinois River across from Starved Rock watching for bald eagles, I heard the tell-tale rapping sound of a woodpecker. 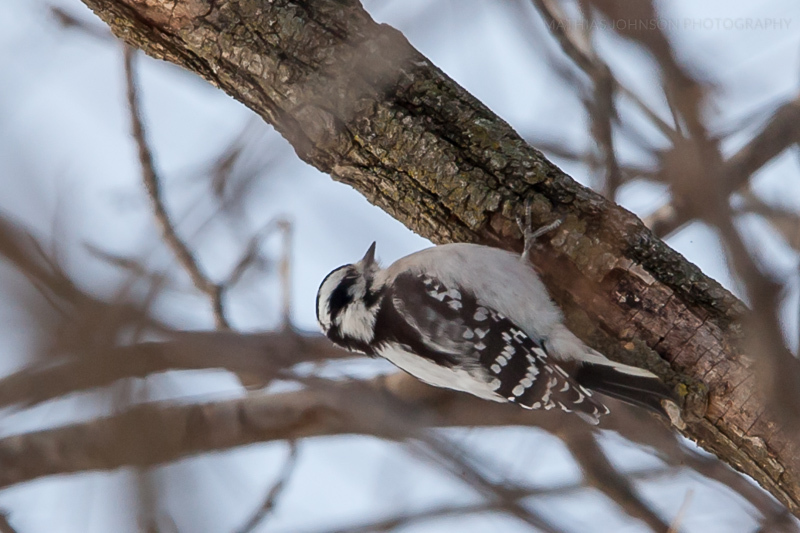 Sure enough, this downy woodpecker was working a branch. She's very similar to a hairy woodpecker, apart from the size and beak. I admit, birding is harder out in the woods. The butterfly room makes it super easy.